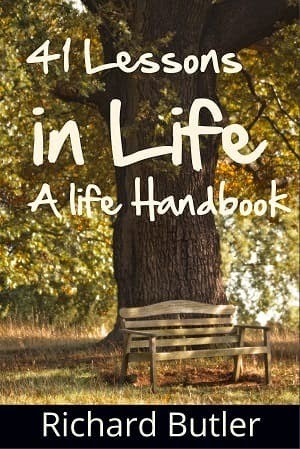 Today we are interviewing Richard Butler author of "Life Handbook - 41 Lessons in Life - A Journey Shared." 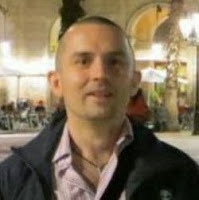 My name is Richard Butler, and I was born in California, but moved to Dublin when I was 2 years of age. I spent most of my life living in Dublin, but due to my mom’s background I had a love for Spanish, and from my dad I inherited a love for teaching. Having left college I pursued a career in teaching, and in 2001 wrote my first “real” book. I lived the dream… got a good job, married, bought a house, had a kid, and then in 2007 everything took a turn for the worst, I lost my job, my marriage, and just about everything! I moved to Barcelona and started a new life there working for a recruitment company, that enabled me to travel the world! The purpose is quite simple, to show people that life is worth living, lessons can be learnt from everything that happens to you. The idea of the book is to let people know that what is happening to them is not unique but has happened to many people. Within every event there is a lesson to be learnt and this helps us grow into the people that we are today. People who are perhaps looking for direction in life, who may have reached their mid to late 30s and are approaching their 40s, wondering is there more to life? How did I get there? Is there something that I can do in this world to make a difference? What inspired you to write a book about your discovery of what is important in life? I have read many self help books and found that most of them preach about ideas, things you must do, exercises you must undertake in order to become a better person. However I have found that what is important is to realise that you are where you are because of the choices that you have made. These choices are unique to you and have helped you get to where you are. I believe that what has happened to me is not unique, not anything out of the ordinary, but something that is normal. This normality means that I am like you, facing the same problems, but perhaps I can show you the solutions from what I have learnt! In the book, you use an informal style, like a chat in a café. Why did you decide to use this writing style? I believe that people relate to people they like. You don’t sit down and listen to some who is preaching to you or making you feel as if they are better than you. Thus the style in my book is relaxed, informal, much like as if we were having a chat in a cafe. I am letting you know what I have learnt, with no judgement on my part. It is just like you and me meeting and having a coffee and discussing about life. The process of writing this book was unique in that you wrote much of this while on a train or waiting for a flight. Can you share a bit more about the writing process? As I said above I wanted the book to be accessible to all, and help people relate by coming into my life and seeing what was happening to me. The idea is to make you feel as if you are part of my life and that you and me are communicating directly. We are both taking a journey around the world together! I also got inspiration from where I was at a particular moment. Sometimes we take our surroundings for granted, and don’t really look at where we are and appreciate the simple things. You know waiting in an airport or sitting in a seat in economy class on a 12 hour flight to South American gives you time to reflect. I think all of my readers will be in similar positions where they will have a few hours to reflect and this is what I hope they will do. 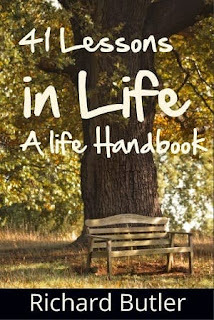 One of the themes of the book is how we need to find what is important in life and prioritize it. How does one go about this process? That is an interesting question, and to be honest I really believe that it depends on the person, and the particular moment they are in. Let me give you an example. Right now if a person does not have enough money to pay the rent, their number one priority will be to make money to cover the rent. However let me tell you that recently I had to make a decision that could have changed my life, however my main priority was to enjoy life, and be in a happy place (which was Barcelona), so instead of taking the offer that was given to me, I decided not to do it. My reason was that living a good life in a nice place was the most important thing! I don’t want to sound like a guru, or anything like that as that’s just not me. However, I would hope that for under $2 I can make a positive impact in people's life. I can make them stop for a moment and thing about life and perhaps make a new decision that can help them succeed in life. The book provides ideas, lessons, but not answers, and ideas to make you think. Do you have something in mind for your next writing project? Actually yes! I really enjoy my cafe style and think my readers do to! The next book is about a topic that I have just gone through, and that is divorce! It is not a pleasant experience, but I learnt a lot of lessons from it, which I am turning into my next book. I also have other ideas that will all help us get a better insight into life. I would like to let them know that this book is not your typical boring self help book (man have I read a lot of those), rather it is a real journey into the very soul of a man who has lived through many of the common problems in life and how he has dealt with them. There’s no exercises and no extra reading needed. Everything you need can be found in the book.